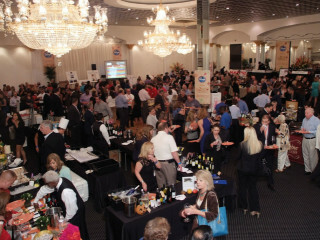 You’ve heard of lemon zest and having a "zest for life," but the Houston West Chamber of Commerce will bring a different kind of zest to Houston: the 8th Annual Zest in the West Food & Wine Zestival . Approximately 900 foodies, craft beer lovers and wine enthusiasts will enjoy the 2015 Zest in the West, which helps to support the West Houston Leadership Institute. WHLI Scholarship funds are generated from the silent auction big board. Instead of a live auction, there will be a Big Board where people can monitor a list of bigger ticket items, see who is bidding how much and then outbid them. $65 for Grand Zesting; $125 for VIP Luxury Lounge; $155 for Bubbles & Brews; $200 for Total VVIP Experience.